Keeping track of your wine glass or coffee cup is a challenge when the book club conversation starts. I crafted these simple but adorable book club wine charms in less than hour. They can be used meeting after meeting and create a fun conversation piece. I chose a selection of popular book club covers and printed them to fit inside the open charm. I cut them out in ovals and pushed them gently into the open charm. I added a silver jump ring to the top of the charm so it could be threaded onto the wine charm ring. Cut sections of jewelry wire to 3”. Add one magnetic closure to one end and string various color-coded beads onto the wire, leaving enough room to add the second magnetic closure while twisting the end shut. Center the charm on completed wine charm ring and reclose the silver jump ring. 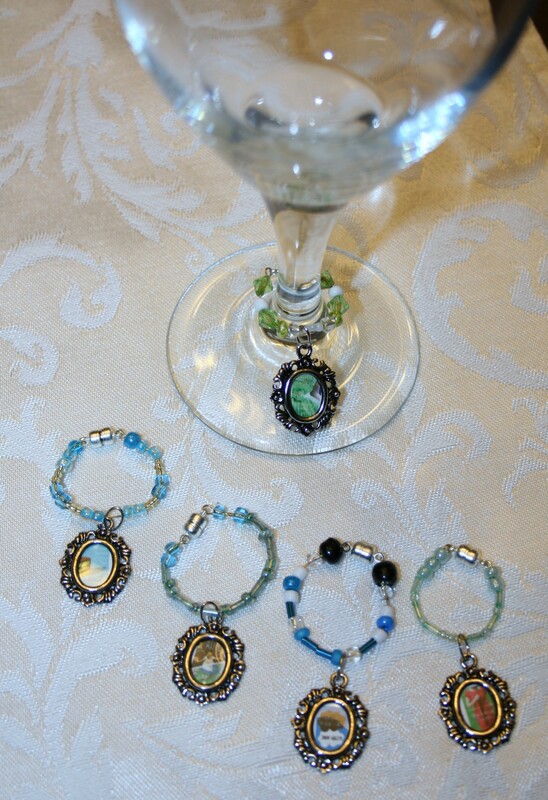 Click open the magnetic closure to add wine charm to your wine glass or coffee cup. Display on a jewelry tree for guests to choose their book wine charm on arrival. 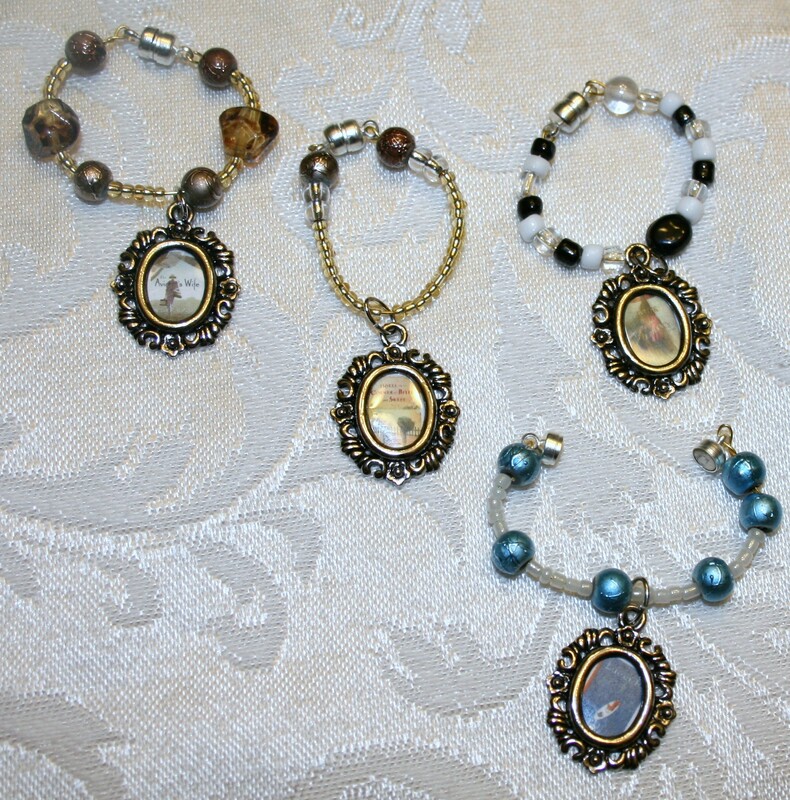 These can even be given as gifts to your favorite author or book lover.